The Planning Notepad by John Krissilas: Wake up your creativity! What do coffee, TED Talks, and Honest Ed's have in common? Imagine an early-morning meeting you'd actually want to go to: good food (pineapples, grapes, whole-wheat croissants), good people (entrepreneurs, advocates, hipsters), and a little bit of inspiration from a well-worn speaker. And all in the lively, Central Perk-like coffee pub in the basement of CSI Annex. On Friday July 31st, the theme of this monthly meetup was urban farming. Specifically, the story of how @katie_german combined her love of farming with a desire to help inner-city kids learn some good ol' responsibility. Sharing her long, tireless journey as the co-ordinator of FoodShare's School Grown program, Katie inspired everyone to start thinking — and eating — like a farmer. 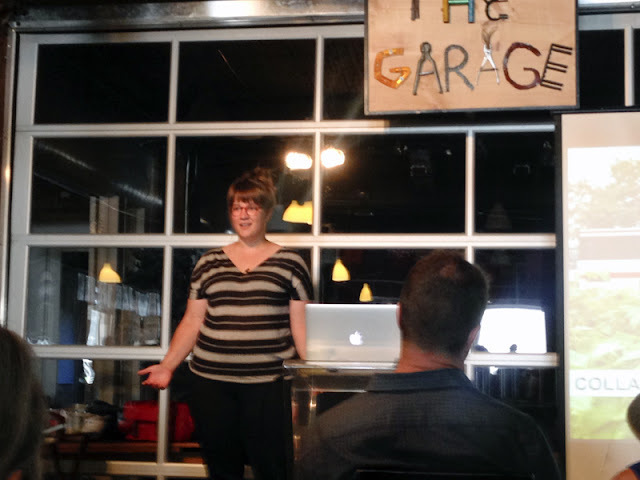 Capping off the morning, a handful of Creative Morningers took the stage to pitch their new projects. @kylebap spoke about the need for writers to actually, you know... write, and offered his new #WriteShopWeds meetup as a place to do so. For designers, we heard about The Station, a new co-working space and incubator for freelance creatives. Check them out!